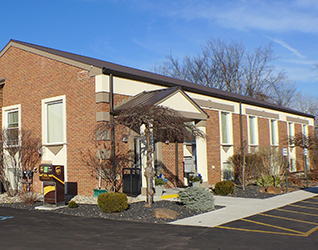 LOCATION – The office is centrally located in Genesee County and between I-475 and US-23. This makes it easy to be anywhere quickly and serve all communities including North Oakland County. This location makes it easier to ask clients to come to you, saving you time and money. o Tech package – Cable internet connection, latest in fax, copier, telephone, software etc. DIRECT LINES – Agents have individual phone numbers that go directly to their desks and can be forwarded anywhere. The numbers are used on signs and ads. This means you do not lose calls to other agents. You can receive your calls directly even after hours and double end more deals. LOTS OF FREEBIES – We don’t want to nickel and dime you to death like other brokers. Lots of things are included for free like voicemail, internet connection, email, office website etc. NO FLOOR TIME OR HOUSE TOURS – We believe your time can be better spent face to face with clients. Also, other agents don’t get your sales calls. PEOPLE – We have assembled some of the best agents in the area. While most are ambitious and hard working, they take the time to support each other and have a little fun. We have numerous office parties and activities throughout the year. Please feel free to call any of the SELECT agents for their candid opinions. PRODUCTION – Most agents that have switched to SELECT have increased their volume the first year at SELECT, despite the usual slow down involved in the first few months of switching. Also,SELECT is typically the top Flint Board office based on sales and transactions. You can prove it to your self by using Kinnexus to compare stats. EDUCATION AND TRAINING – Besides having satellite stations broadcasting nothing but real estate programming, we offer one on one mentoring programs with experienced top producers. This is the best way to learn. LEADS – There are lots of website leads, HUD calls, company advertising, walk-ins, cold calls and referrals from other RE/MAX offices nationwide. These are distributed on a rotation basis. MORE WAYS TO MAKE MONEY – You earn commissions from transaction fees and home warranty rebates.